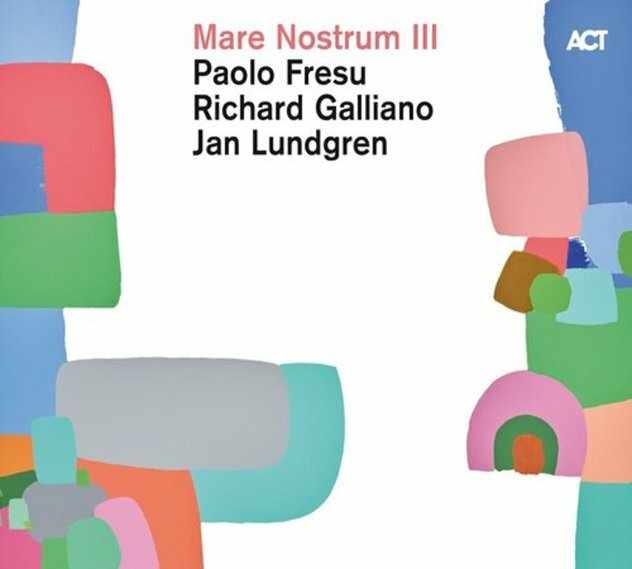 Piano, trumpet, and accordion – a really beautiful combination here in the hands of three masters of their instruments – trumpeter Paolo Fresu, accordionist Richard Galliano, and pianist Jan Lundgren! The set isn't the first this trio has recorded – and it definitely shows their deepening sympathies over time – with a special balance of space and sound, quiet and melody, of the sort that less comfortable musical partners wouldn't have been able to carry off this well! Most songs run for just a few minutes, but work together to make for a lovely poem in sound – created from original numbers by the members of the trio, and well-chosen gems by Michel Legrand, Quincy Jones, and others. Tracks include "Blues Sur Seine", "Love Land", "Pavese", "Prayer", "The Magic Stroll", "Love Theme From The Getaway", "Le Jardin Des Fees", "Del Soldato In Trincea", and "Human Requiem". © 1996-2019, Dusty Groove, Inc.